ChildCare Education Institute (CCEI) is listed as a Training Sponsor Organization with The Registry. 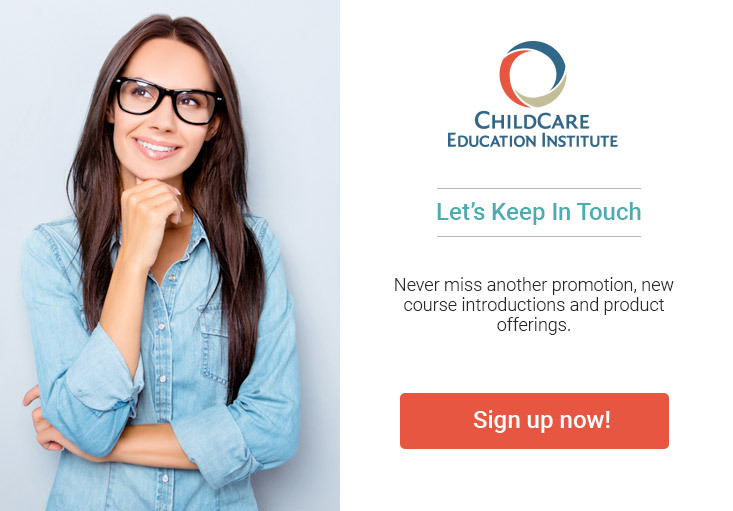 As such, most CCEI courses are accepted by the Wisconsin Department of Children and Families, Division of Early Care and Education, to meet annual in-service training requirements. For additional information regarding the acceptance of CCEI’s coursework in Wisconsin, visit the above listed website or contact the Department of Children and Families at 608.266.9314. The CCEI Early Childhood Credential (ECC) program is an accepted certification by The Wisconsin Professional Early Childhood Registry and the Bureau of Early Care Regulation to be equivalent to the Child Development Associate (CDA) issued by the Council for Professional Recognition. “CCEI118: Shaken Baby Syndrome” is not approved for in-service hours for WI staff. Wisconsin has specific rules regarding this training and the training must be presented in person by specially trained presenters.